Graham Parsons is chief pharmacist and non-medical prescriber at Turning Point. He has been a practising pharmacist since 1991. Dr Carole Hunter, BSc, BA, MSc, DASR, MRPharmS, is the Lead Pharmacist, Addiction Services, NHS Greater Glasgow and Clyde. Carole's pharmacy degree was obtained at Robert Gordon's in Aberdeen in 1978. She has extensive experience in community pharmacy in Scotland and England and owned her own pharmacy for 10 years in the 1990s. During that time she established one of the area's first pharmacy needle exchanges. In 2003 she succeeded Kay Roberts as Area Pharmacy Specialist in Drug Misuse for NHS Greater Glasgow. Since 1990 she has been a Doping Control Officer with the UK Antidoping programme and has been a member of the drug testing teams at the Commonwealth Games in Manchester 2002, the Winter Olympics in Vancouver in 2010 and the recent London Olympics. In Dec 2009 she was appointed to the Scottish Government’s Drug Strategy Delivery Commission. She is a member of the national Drug Death Forum and currently chairs the national naloxone advisory group and the Scottish Specialist Pharmacists in Substance Misuse group. July 2017 saw publication of the fourth edition of ‘Drug misuse and dependence: UK guidelines on clinical management’, also known as the Orange Book, which provides guidance that supports healthcare professionals in the field of dependence on illicit and licit medicines. Pharmacists and pharmacy teams should be aware of this online-only update and what the changes mean for practice. First published in 1991, ‘Drug misuse and dependence: UK guidelines on clinical management’, or the Orange Book, provides guidance around dependence on illicit and licit medicines. Co-ordinated by Public Health England (PHE), the guidance is published on behalf of the health departments of the four devolved UK nations. 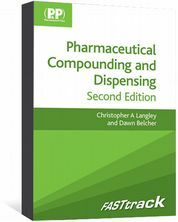 Unlike the 2007 edition, community pharmacies will not have received hard copies in the post. 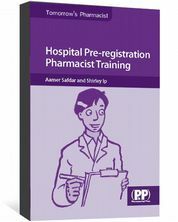 Pharmacists should note that the 2007 edition is now outdated. 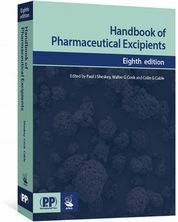 July 2017 saw the release of the fourth edition, which was published at the same time as the government’s revised drugs strategy for England. The management of alcohol dependence is covered in separate clinical guidance from the National Institute for Health and Care Excellence (NICE), England’s health technology assessment body. 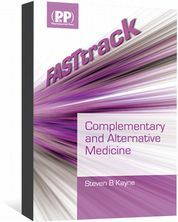 The most recent edition is the largest of the four and covers in its seven chapters the essential elements of treatment provision, psychosocial care, pharmacological interventions, criminal justice systems, health considerations, specific treatment situations, and populations including pregnant women, young people and older people. Annexes cover a range of supporting information including governance, confidentiality and safeguarding, writing prescriptions, drug interactions, travelling abroad with controlled drugs, and drugs and driving. The new guidelines also have a stronger emphasis on recovery and a holistic approach to the interventions that can support recovery. When it comes to the pharmaceutical care of patients who are drug users, community pharmacy is predominantly involved in the management of opiate dependence, since this is where substitution therapies are commonly prescribed and routinely dispensed, sometimes with consumption being supervised. Section 2.3 of the new edition, entitled ‘Delivering drug treatment in different settings’, reiterates the role of the GP and the pharmacist in providing safe and effective care in the primary care setting. It also notes the increasing age of many drug users along with the consequent comorbidities in this ageing population,. Community pharmacists are well placed and can be invaluable when linking patients with secondary care services. The guidelines are also relevant for specialist hospital-based pharmacists and allied healthcare professionals, as they are increasingly likely to encounter drug-using patients with a wide range of physical and mental health problems. This article aims to provide an update on changes included in this new guidance for practising pharmacists and healthcare professionals. For comprehensive insight and for individuals involved in specialist provision, the whole guidance should be read. Many patients access drug treatment because they want to move away from illicit drug use and live a life free of dependence on both prescribed and illicit drugs. Patients should receive appropriate psychosocial support and, if indicated, prescribed medication, to take a path that leads them to recovery. This is likely to include opiate detoxification prescribing. In addition, it is important to involve patients in decisions about their care. The updated guidance states that evidence-based maintenance opiate substitution therapy (OST) should also be available for those patients who want to, or are only able to, follow this path. Of course these paths can cross, and a maintenance care plan can, at a later date, turn into a detoxification plan when the patient is ready. Maintenance therapy can still be considered a good recovery outcome in terms of the improved physical and mental health it brings along with the changes to social functioning. The guidance states that “It is inappropriate, in providing ethical, evidence-based treatment, for services to create a sense that those opting for OST maintenance are making a poorer choice than those opting for an abstinence-orientated or abstinence-based treatment”. The importance of high quality psychosocial support was described in the previous edition, and is emphasised in the fourth edition,. In particular, the principles and benefits of trauma-informed care, recognising that most people with addiction problems have a history of traumatic experience, is emphasised. Guidance on which types of psychosocial interventions can be helpful in specific mental health conditions is also given. The guidance makes clear that “access to medication should not be contingent on compliance with a psychosocial programme. 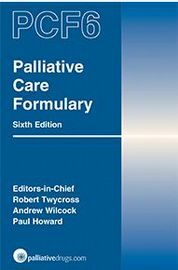 Rather, services should offer a programme that service users will wish to engage with voluntarily.” Pharmacists with a specific interest in, or a need to understand the psychological components of treatment, are recommended to read chapter 3. The breadth of treatment need means that pharmacists may dispense OST to patients being prescribed a maintenance regimen or detoxification. In sustained maintenance, the primary outcomes are likely to be reduction of harm, including stabilisation or avoidance of illicit drug use. Benefits include improved physical and mental health, as well as improved social and family outcomes. For patients undergoing detoxification, the primary treatment goal will be removal of physical and psychological dependence on both prescribed and illicit opiates. In addition to the outcomes listed above, the benefit for patients is that they are no longer physically or psychologically tied to a treatment regimen and system. Although psychological support has been shown to improve these outcomes, engagement has to be voluntary, and many patients struggle with the idea of psychological therapy. Common reasons for this struggle include a fear of ‘raking over the past’ (not necessarily required), or of participating in a group therapy setting, which, although shown to be beneficial, can be daunting and threatening, particularly to those with anxiety issues. Some treatment services may be able to facilitate access to online psychological support services. Pharmacists should research the psychological therapies that are on offer locally, and how they are provided, so they can signpost and encourage patients to engage with them during consultations and interactions. Good communication between prescribers of OST and dispensing pharmacists is important and should be two-way. Communication is not just confined to patient interactions. Pharmacists are key to communicating or reporting missed doses, highlighting concerns about intoxicated patients to prescribers, and potentially withholding the dose of OST. Prescribers should inform pharmacists when a new patient plans to attend the pharmacy for treatment and when changes are made to their prescription or supervision. The guidance also highlights that although pharmacists providing needle and syringe programmes do not routinely inform prescribers when a patient on OST collects injecting equipment, pharmacists should talk to each patient about overdose risks, provide or facilitate naloxone supply, and seek the patient’s permission to communicate concerns about their wellbeing to the prescriber on their behalf. This should be done in a supportive and non-judgemental way. The updated guidelines make it clear that methadone and buprenorphine are both effective medicines for maintenance treatment, particularly when taken within the optimal dose ranges (60–120mg daily for methadone and 12–16mg daily for buprenorphine). The view that the most suitable medication should be chosen for each individual is new guidance; previous guidelines recommended that methadone should be used as first-line therapy. The main goal during treatment is to give the patient the dose of OST that leads to complete cessation of heroin and/or other illicit opioid use. This dose may be higher than the dose at which the patient feels ‘stable’ (i.e. the physical absence of withdrawals). Death during induction onto OST is rare, but a recognised risk, so close monitoring is needed and a quick response to any signs of oversedation or intoxication is important, especially during the first few weeks of treatment. Given that most patients at the start of treatment will be on daily supervised medication, pharmacists should look for signs, for example drowsiness, difficulty staying awake and falling asleep while sitting waiting, and report them back to the prescriber as a priority. Dose induction with buprenorphine generally happens more rapidly with less risk of overdose. This is due to its partial agonist pharmacokinetics as opposed to the full agonist action of methadone. When patients no longer benefit from treatment interventions, healthcare professionals should aim to optimise treatment by intensifying pharmacological and psychosocial support, rather than reducing it. Pharmacists should support this process with good communication and proactive feedback on observed behaviours and treatment compliance to prescribers. The guidelines cover detoxification as well as maintenance therapy, advocating the offer of detoxification to suitable patients. These include patients who have stabilised on OST with no additional illicit drug use for some time. Patients should also have managed to gain control over the psychological drivers of addiction, for example through the use of coping strategies. Good preparation for detoxification is highlighted as important alongside the provision of post-detoxification support to prevent relapse. Support should also be in place for rapid re-engagement should detoxification not lead to sustained abstinence. Pharmacists should be able to identify the signs of relapse in detoxified patients, for example through the use of needle and syringe programmes. Encouraging rapid re-engagement with treatment and providing advice on overdose risks and prevention is important. Methadone, buprenorphine and lofexidine are advocated for detoxification in the 2017 guidelines. Symptomatic relief with other medicines in the short-term may also be needed. For example, loperimide to relieve diarrhoea, hyoscine for stomach cramps and paracetamol for pain. The medicine on which a patient has been maintained prior to detoxification is used to start the detoxification. Therefore, if a patient is maintained on methadone, their detoxification would begin with a planned and structured reduction in methadone dosing, alongside adequate psychological support and aftercare planning. The guidance also covers supervised consumption in detail. It highlights standards for supervised consumption provision and training set in the Scottish publication ‘Pharmaceutical care for patients prescribed opiate replacement therapy’, which is relevant to practice in all UK countries. In previous guidance, supervised consumption was recommended at the start of treatment for a period of three months. The fourth edition removes the three month period, as this length of time was not evidence-based. Instead, the new guidelines state that “supervised consumption should be available to all patients to support induction on to opioids, and provided for a length of time appropriate to their individual needs and risks”. Pharmacists are likely to be able to offer useful insight into how stable the patient is and whether they perceive them to be ready for reduced levels of supervised dosing. This relates to the section on good communication, where prescribers are encouraged to consult with pharmacists prior to making changes to supervision. The guidelines cover accidental ingestion, following several high profile, tragic cases in recent years. They state “Patients must be made aware of the risks of their medication and of the importance of protecting children and others from accidental ingestion”. There is a clear role for pharmacists when counselling patients on take away dosing, to emphasise the importance of safe and secure storage and not to take medication in front of children who may attempt to copy. Very small methadone volumes can be fatal in children who are not tolerant to opiates, so strict safeguards must be advocated. Dispensing in daily dose bottles can reduce the quantity of methadone available, should a bottle fall into the wrong hands, and represents good dispensing practice. There is also an emphasis on the importance of pharmacy staff providing professional care. This includes ensuring that the consumption of medication and discussions about treatment are undertaken in private. This is vital to avoid confidentiality breaches, which can happen accidentally if services are provided in the open environment of the main pharmacy. Dignity is also a factor. Sometimes patients lack self-respect and do not feel that their dignity is important, especially at the start of treatment. Providing a dignified and confidential service shows the patient is considered worthy and is being given due consideration, which, in turn, should support patient feelings of self-worth and confidence. Very importantly, as drug-related deaths continue to rise in the UK, overdose awareness training and access to take-home naloxone is important for those with heroin dependence. Pharmacists are ideally placed to supply take-home naloxone, which, since 2015, can be given without prescription by those involved in lawful drug treatment. Pharmacists should consult with commissioners responsible for local funding on whether they can be involved in take-home naloxone supply. In England, commissioners currently sit within public health departments within local councils. Participation in and provision of take-home naloxone supply provides a different cohort of users access to treatment services (e.g. users of pharmacy needle and syringe programmes may not be engaged in treatment). Even if pharmacists do not directly provide supplies of naloxone to patients, they should ensure they are aware of the local provision to advise patients and carers where they can obtain training and supplies. It is also important to consider the wider health of patients who use drugs, and those in treatment for opiate addiction. Pharmacists have a large role to play in the effective delivery of all the interventions listed. This includes the provision of high-quality needle and syringe programmes to those who are injecting, the provision of blood-borne virus screening and hepatitis B vaccinations, and the early identification of complications of drug use, such as bacterial infections associated with injecting. Early detection of mental health problems and cardiovascular and respiratory disease is also identified as important in preventing premature death. Pharmacists who provide smoking cessation services should include drug users as targets for such interventions because people who use drugs often also smoke tobacco. Patients who are using alcohol harmfully or hazardously should also receive advice and support. Finally, the importance of optimising oral health is also identified in the guidance — another area in which pharmacists can offer advice and support. The new clinical guidelines summarise current thinking and best practice around the treatment of opiate dependence. Pharmacists can therefore be confident that the guidelines provide clarity around how they can support day to day management of opiate dependence in the community. Jenny Scott and Carole Hunter were members of the working group that produced the Drug misuse and dependence: UK guidelines on clinical management 2017. McLellan A, Arndt I, Metzger D et al. The effects of psychosocial services in substance abuse treatment. JAMA 1993;269(15):1953–1959. McCool RM & Paschall Richter K. Why do so many drug users smoke? J Subst Abuse Treat 2003;25(1):43–49.